Get in touch with your exotic side with the Reef Sim Ginger Beads flip-flops. This comfy thong style sandal features vegan leather straps with fun bead detail, easily complementing any summer wardrobe. 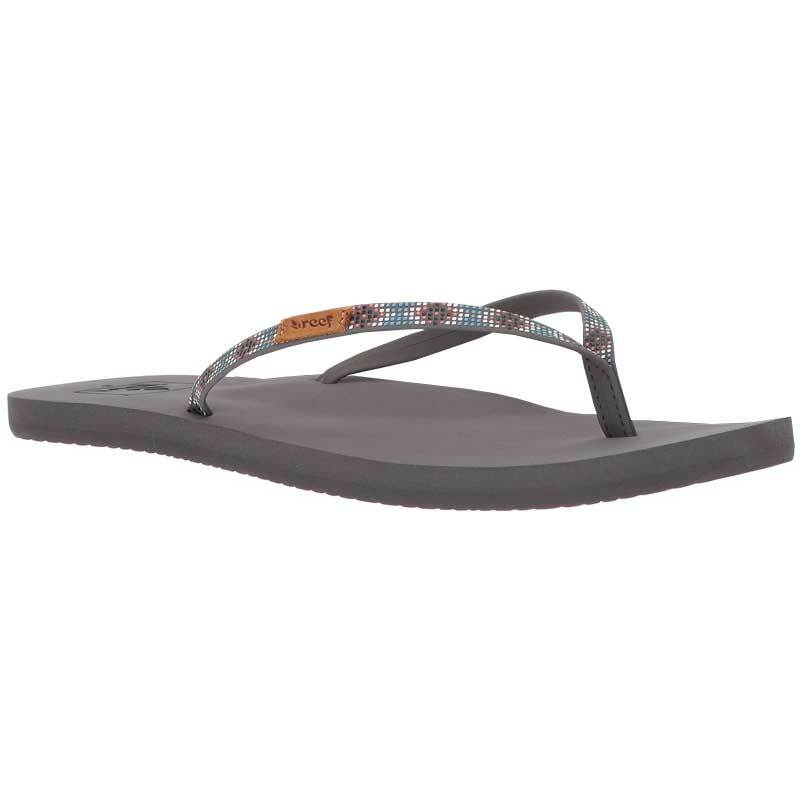 The Reef-Flex triple density EVA footbed is made of cushy foam and has anatomical arch support for maximum comfort. The rubber sponge outsole allows for total flexibility while minimizing slippage, so embrace summer in comfort and style with the Reef Slim Ginger Beads flip flops!